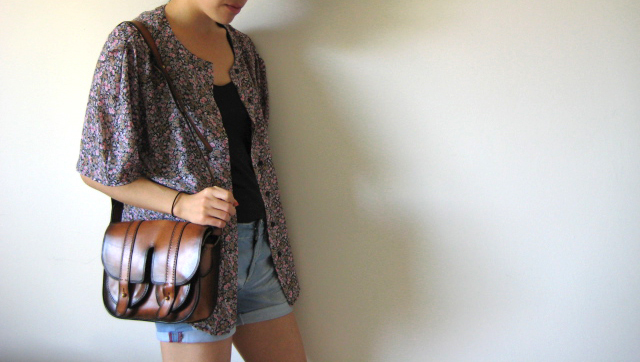 THE LITTLE DANDY : The Floral Blouse (...and the leather satchel). 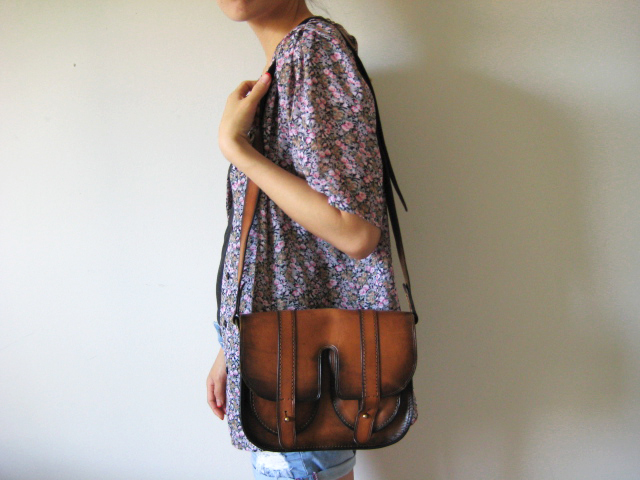 The Floral Blouse (...and the leather satchel). First, I apologize for being so lazy with blogger! I haven't had to time to respond to comments or to visit all of your lovely blogs! But I will be doing that in the next few days =). Anywhoo! Another outfit with some recent thrifting finds! 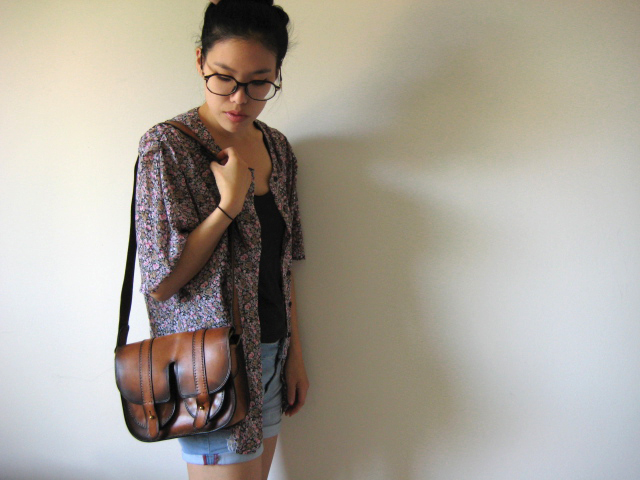 This floral button-up is one of my recent favourites, and same with this gorgeous leather satchel! Isn't it lovely? I didn't actually get to wear this outfit outdoors though, since the weather hasn't been quite as warm lately. I can't wait until I can wear shorts! My outfits lately have been quite lazy (as you can see from my previous post with Instagram photos). As to not bore you all to death, I've been outfitting all of my recent thrift finds to keep me inspired for when the weather actually gets nice out! Anyway, just a quick post today since I've gotta be up quite early tomorrow morning. I have an interview for a summer internship--YAY! Wish me luck! Click "Read More" for more bag details =). And don't you forget to join my Skin Food GIVEAWAY! Beautiful blouse! 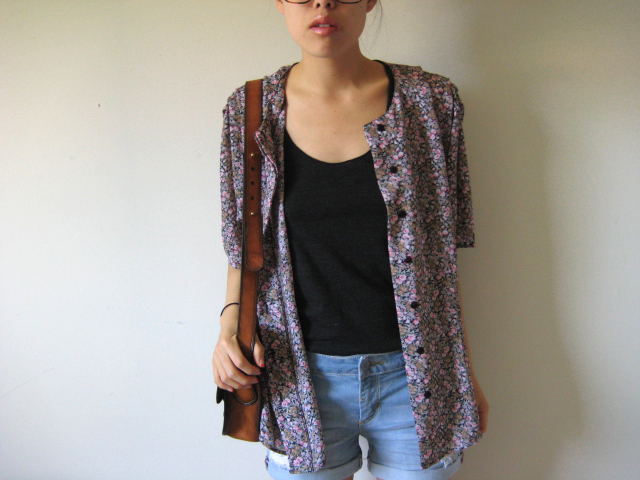 I DIY a floral kimono/cape thing that I will post soon on my blog! I am in love with that bag. What a great find! Love the comfy look, the shorts are awesome. I love love love your satchel! such a cute outfit...and satchel is just wow. Hi there, Ms. Jo! I just nominated you on another award. Please go and check it out! Love the satchel... such a good find!